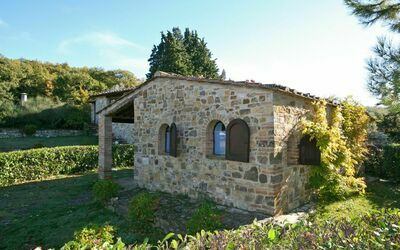 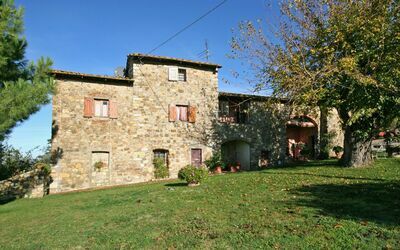 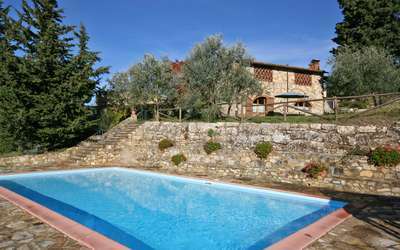 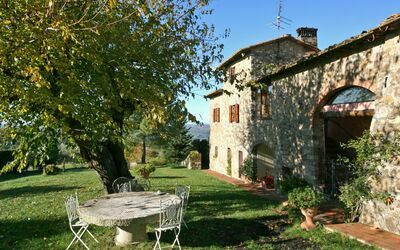 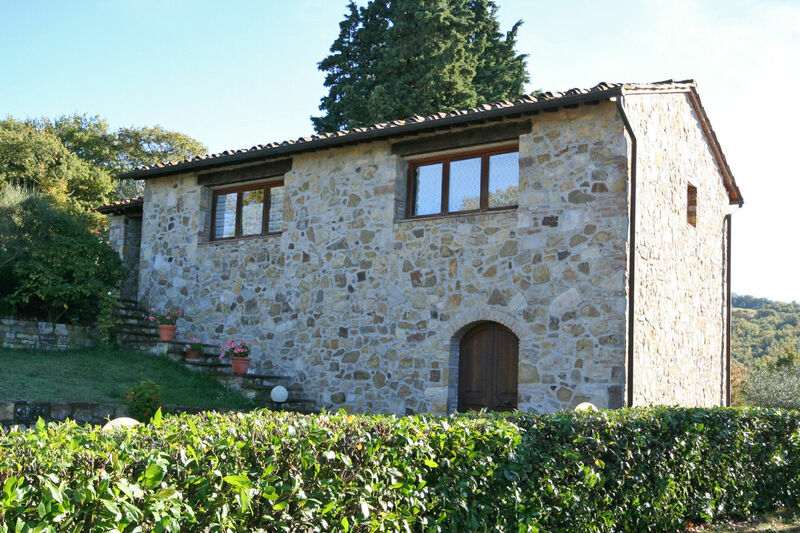 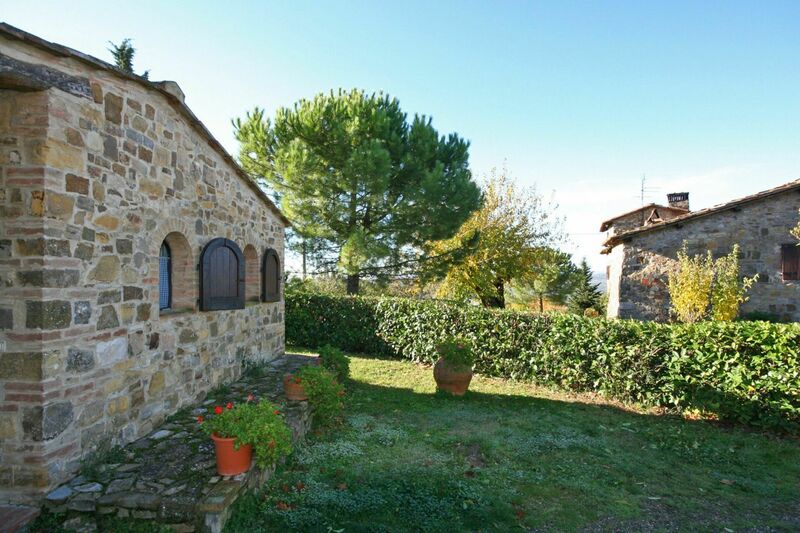 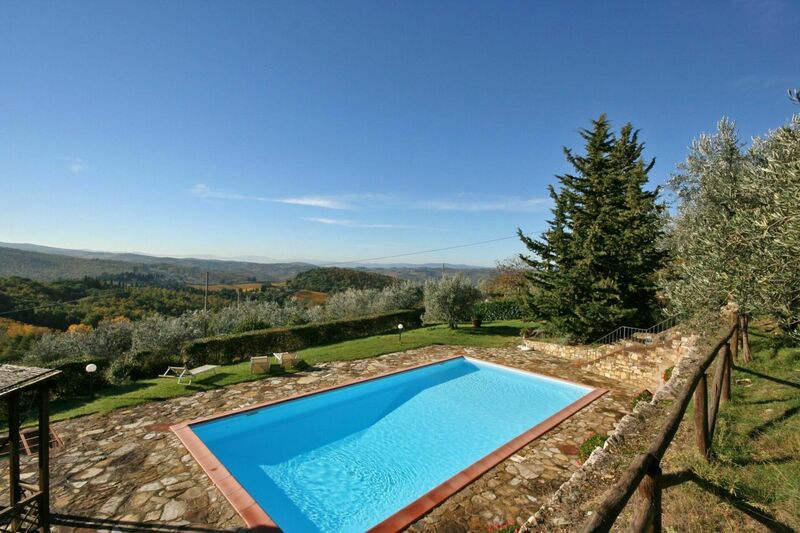 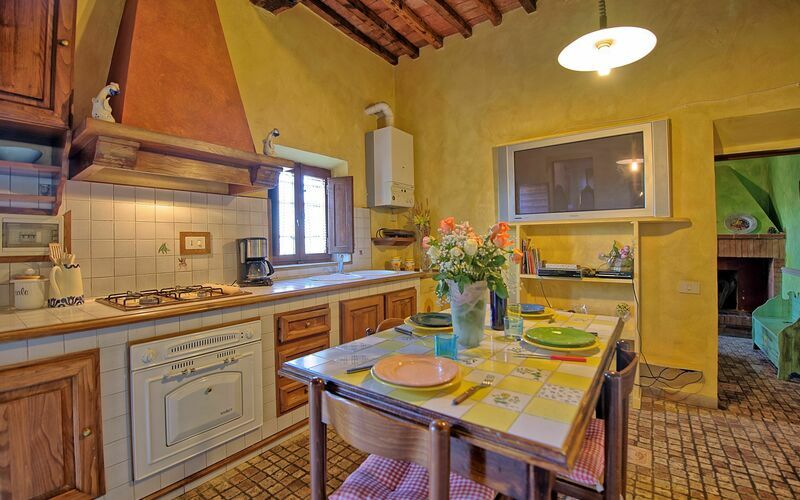 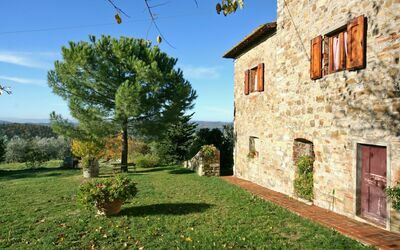 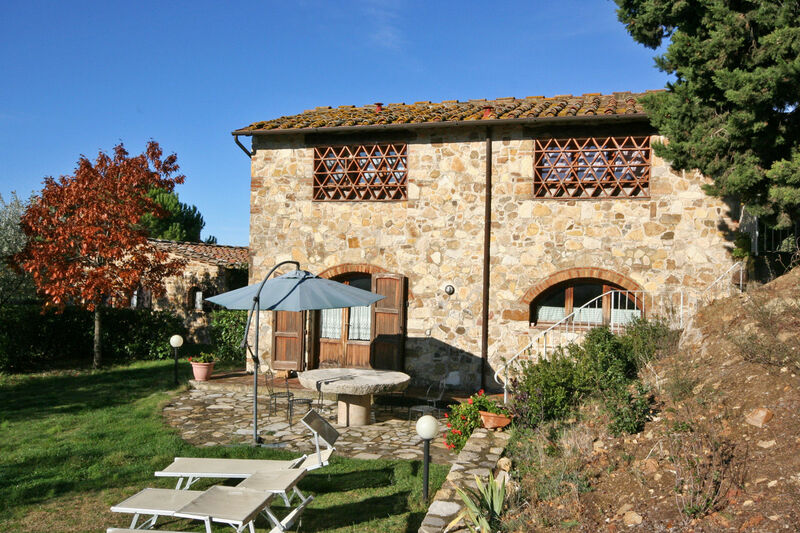 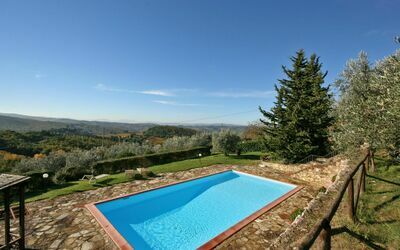 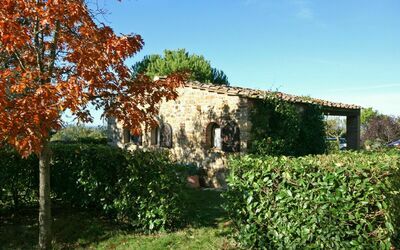 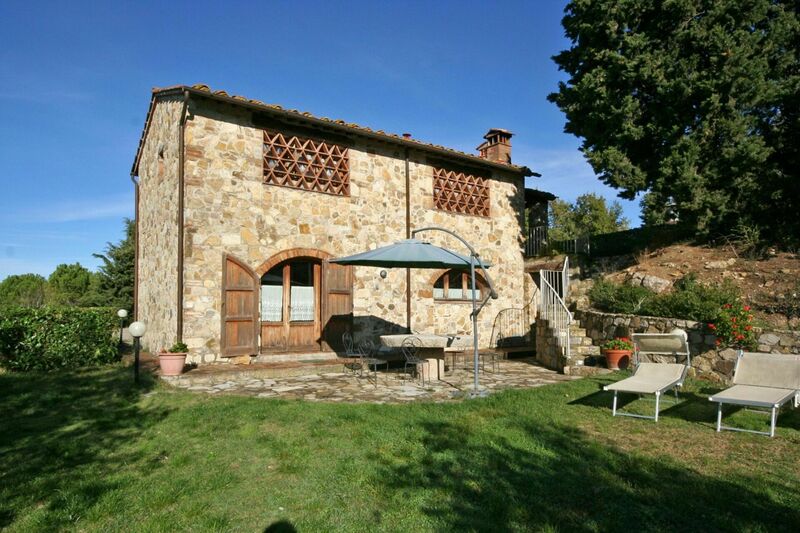 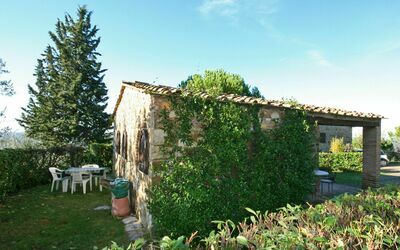 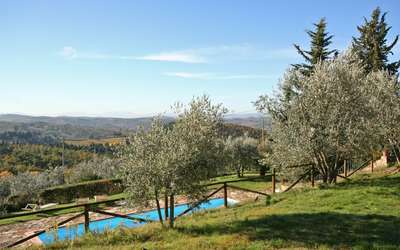 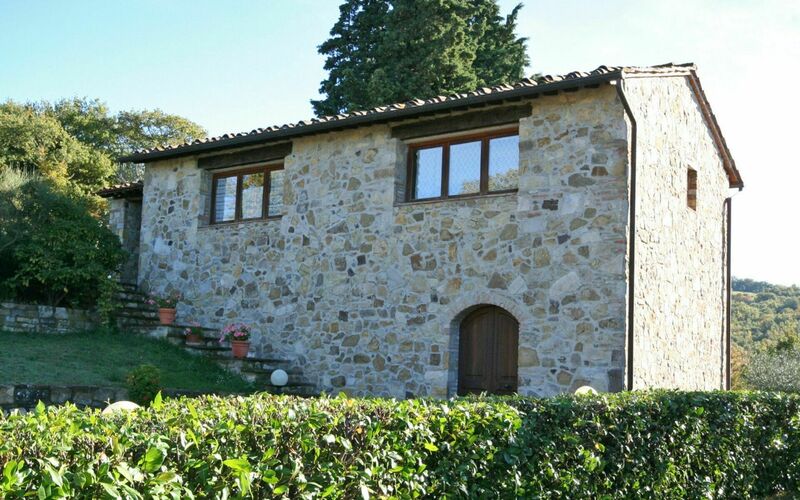 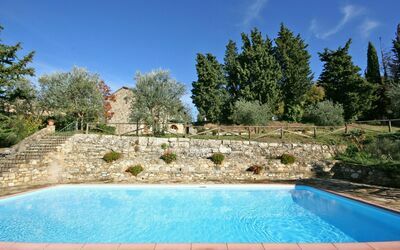 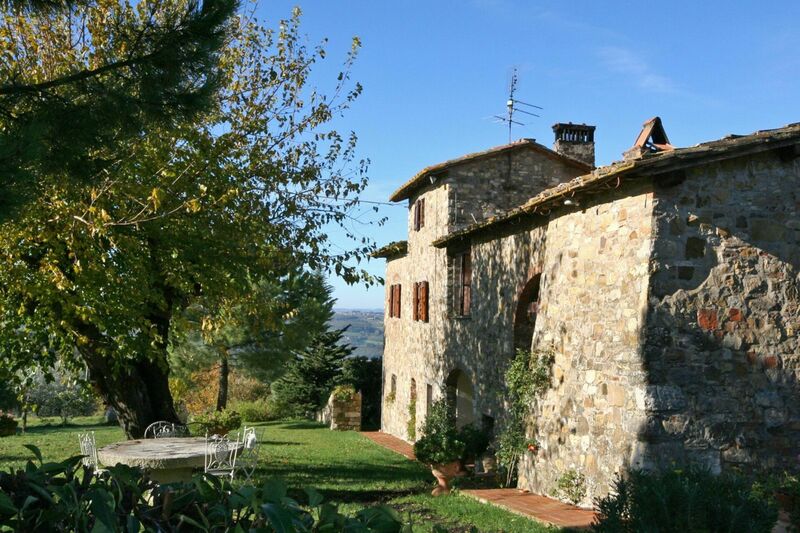 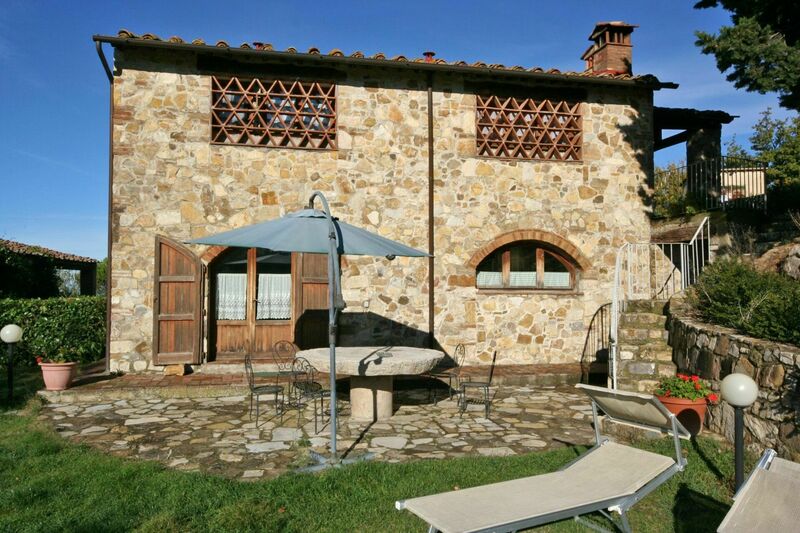 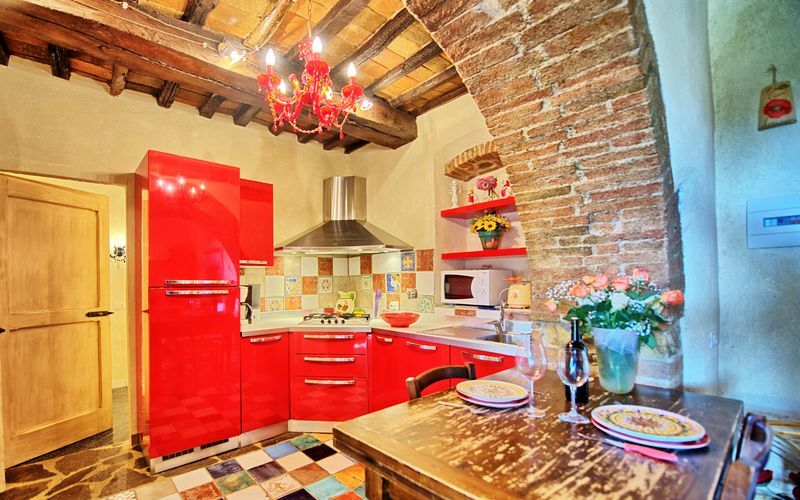 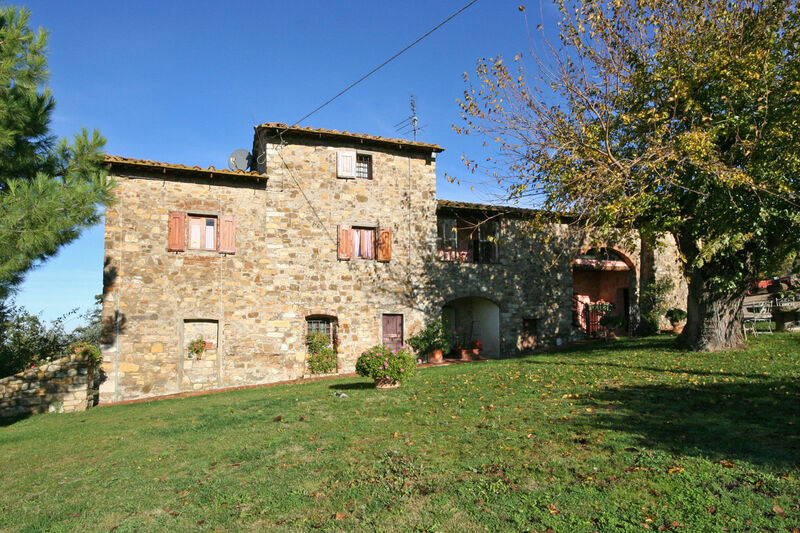 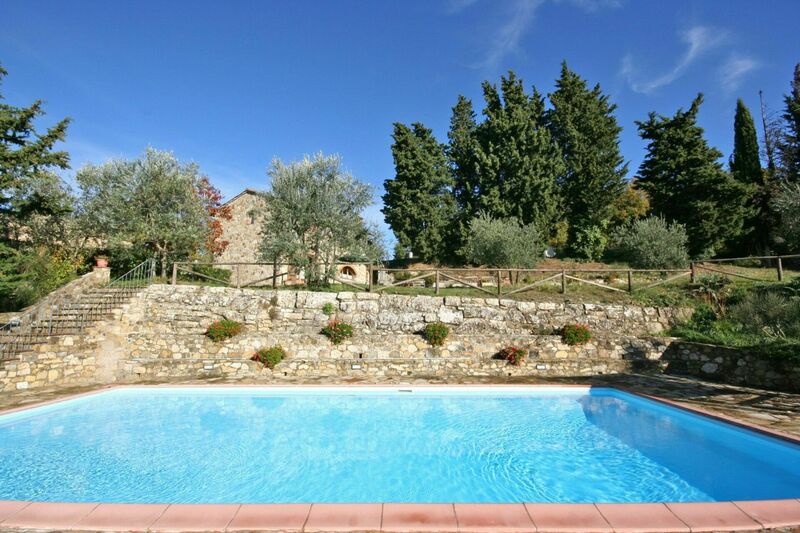 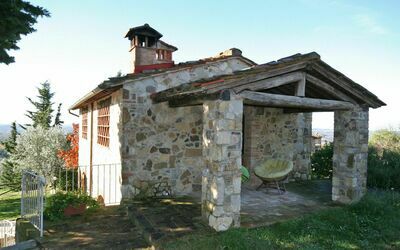 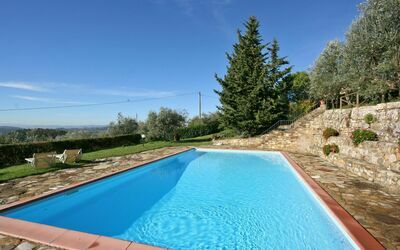 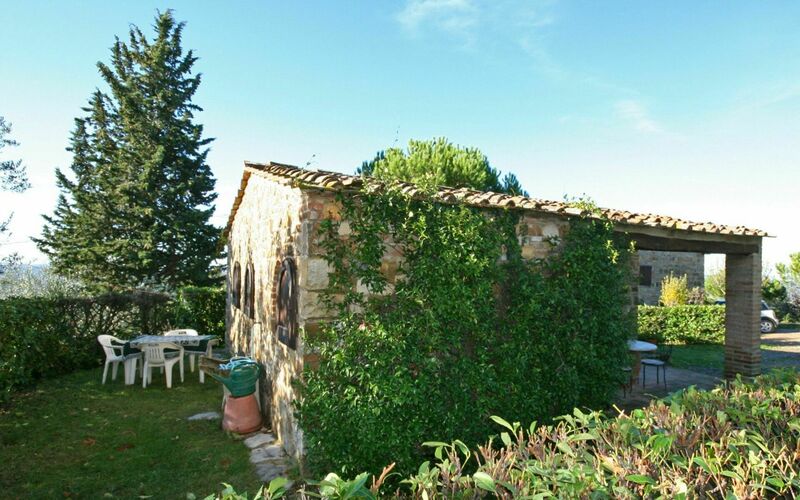 Ancient farmhouse comprising 4 welcoming units, situated in one of the most beautiful areas of the Chianti Classico region. 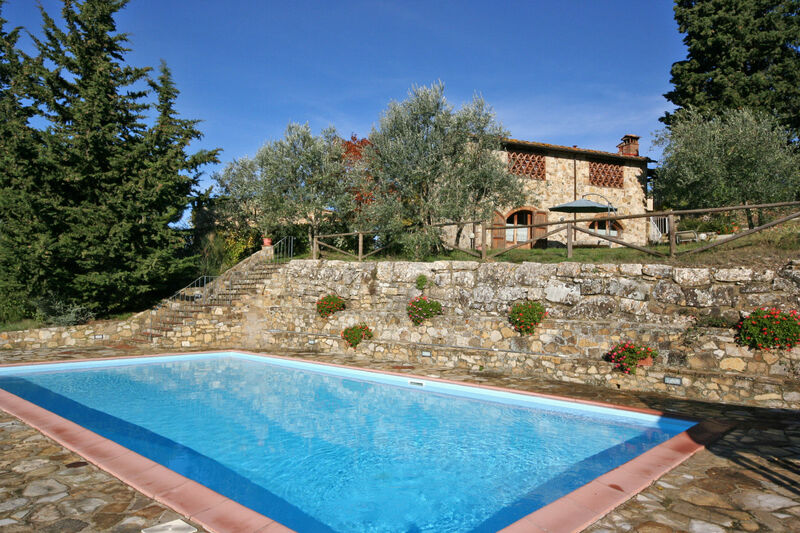 The wonderful Abbey of Badia a Passignano, plunged into amazing vineyards and olive groves, is only 1,5 km away and all of the charming Chianti villages are within 30 minutes. 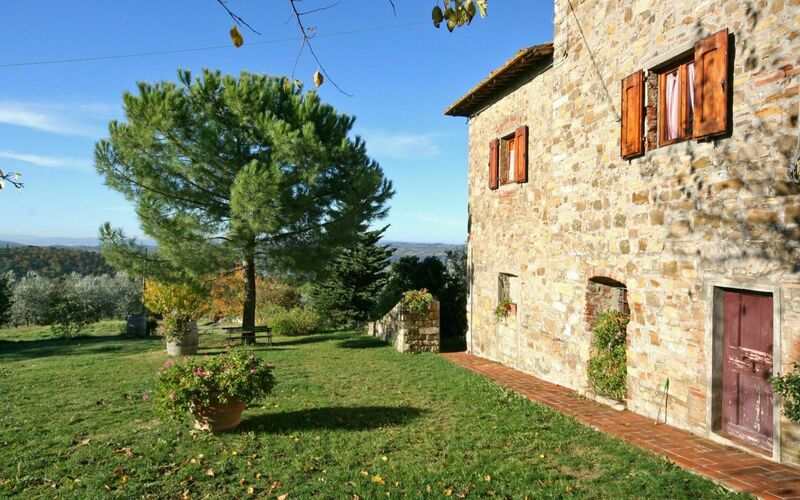 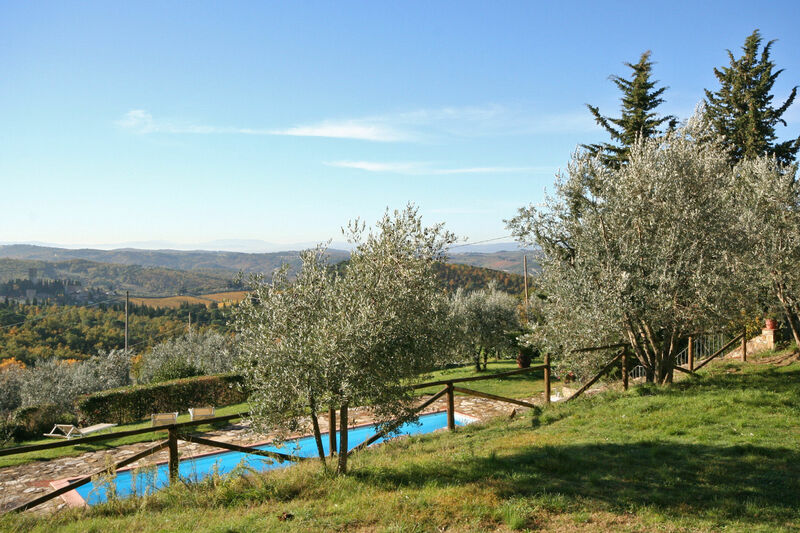 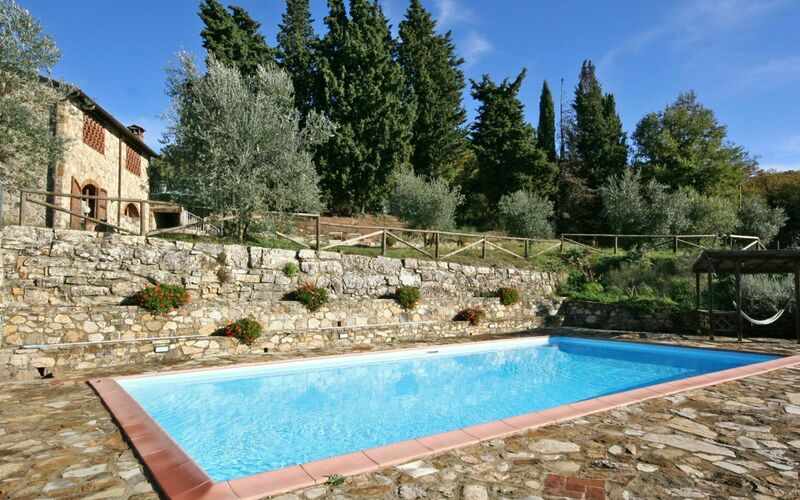 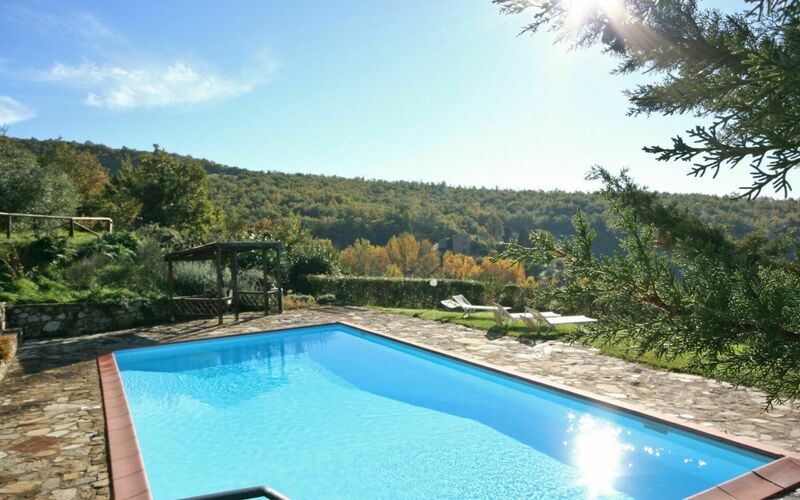 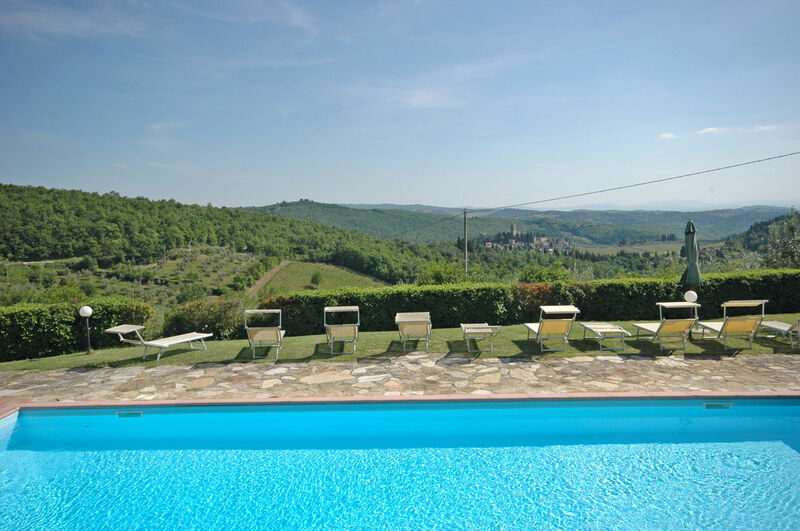 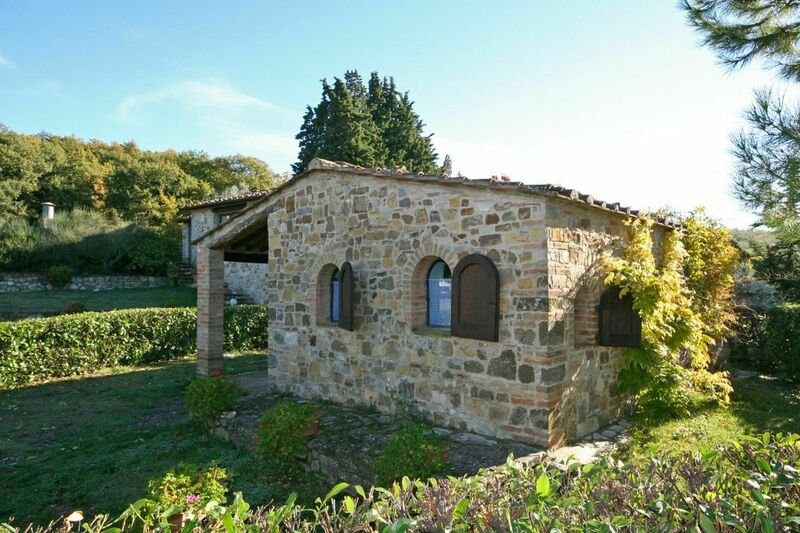 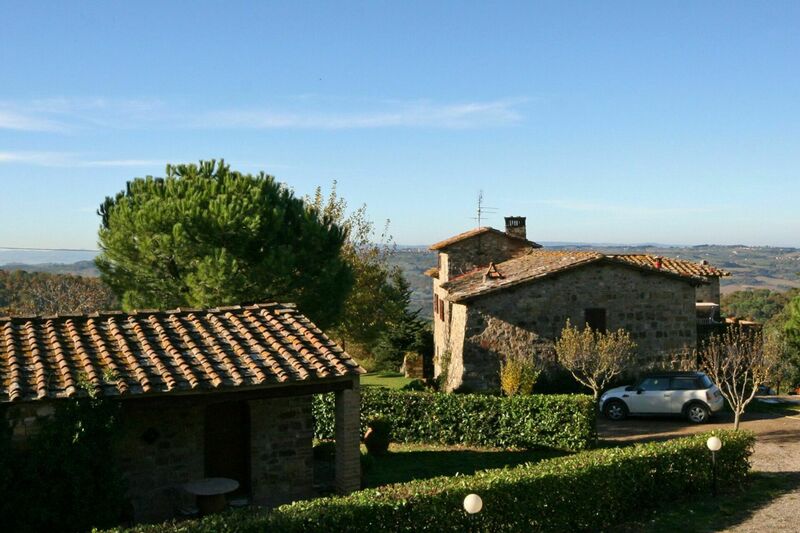 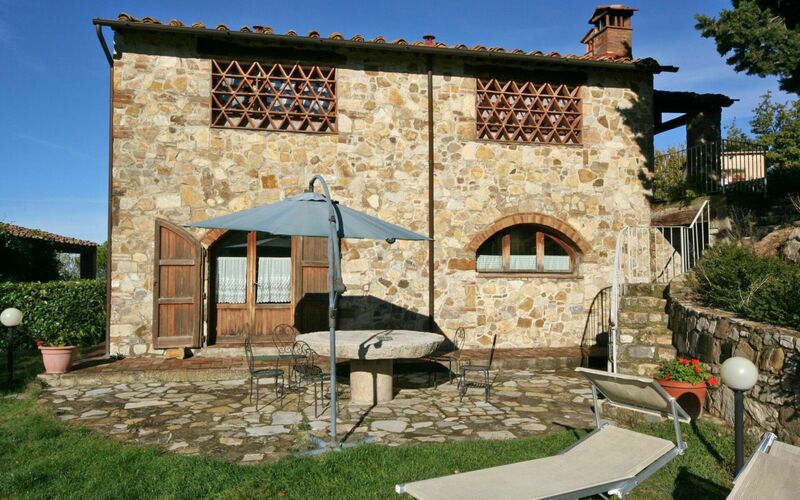 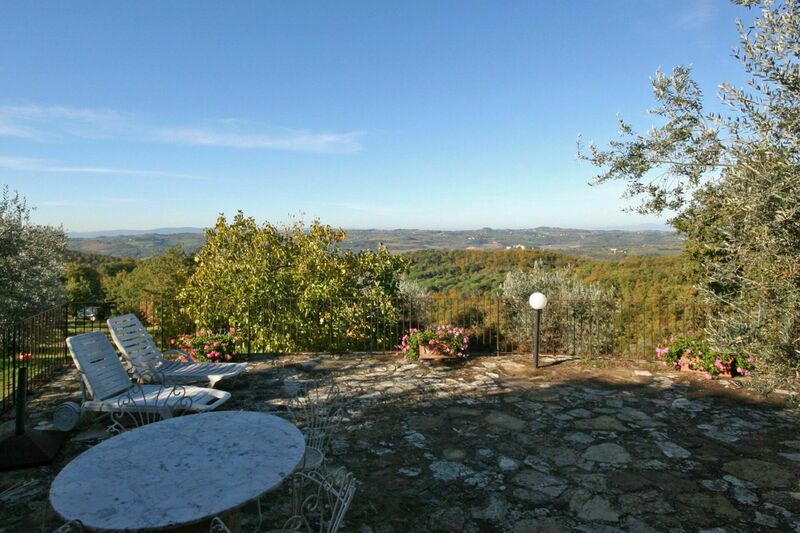 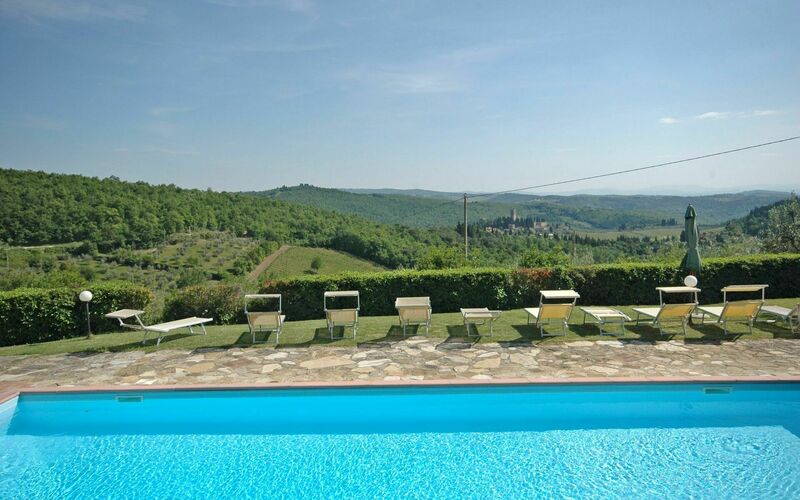 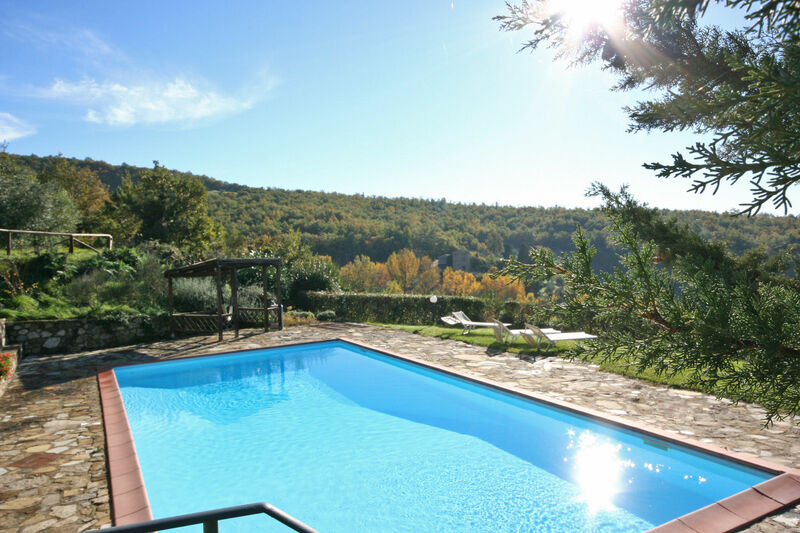 This property is surrounded by a beautiful landscape of woods and vineyards and is in ideal location to spend a relaxing holiday and to enjoy the peace of the Tuscan country-side. Distances: Badia a Passignano with nice restaurants 1,5 km away, Tavarnelle Val di Pesa with general stores 10 km, Greve in Chianti 9 km away, San Gimignano 33 km, Florence (airport) 35 km away, Volterra 55 km, Siena 50 km away, Lucca 105 km, Pisa (airport) 130 km away. 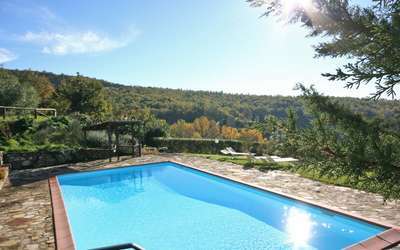 At guests’ disposal: large garden with panoramic swimming-pool (6 x 12 m – min. 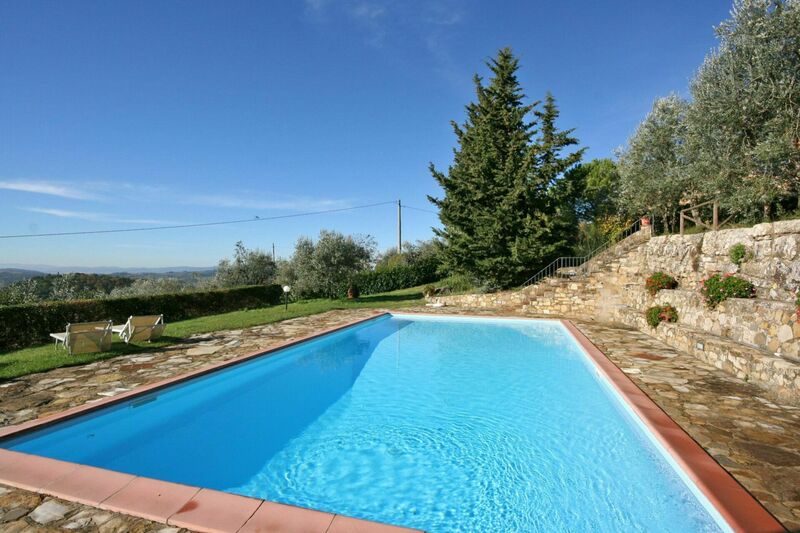 depth 1,4 m – max. depth 2,2 m – open from 01/04 to 30/10) to be shared among the guests of the 4 units and the property owners. The apartment Anna nr 1 and 4 provide a washing-machine while Anna nr 2 and 3 can use a shared laundry. 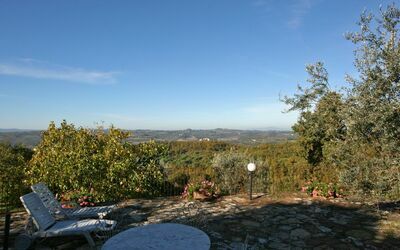 Parking within the grounds. Extra Services: Baby bed available upon request (free of charge). 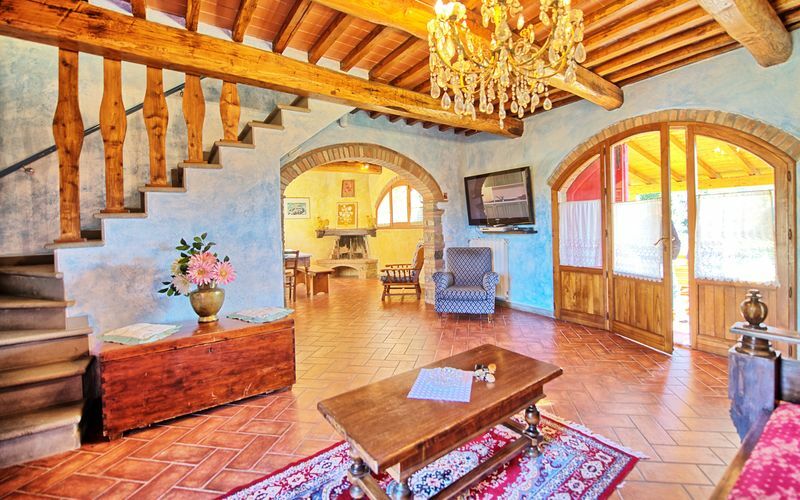 Maid service by arrangement (€ 7, / per hour to be paid on the spot). 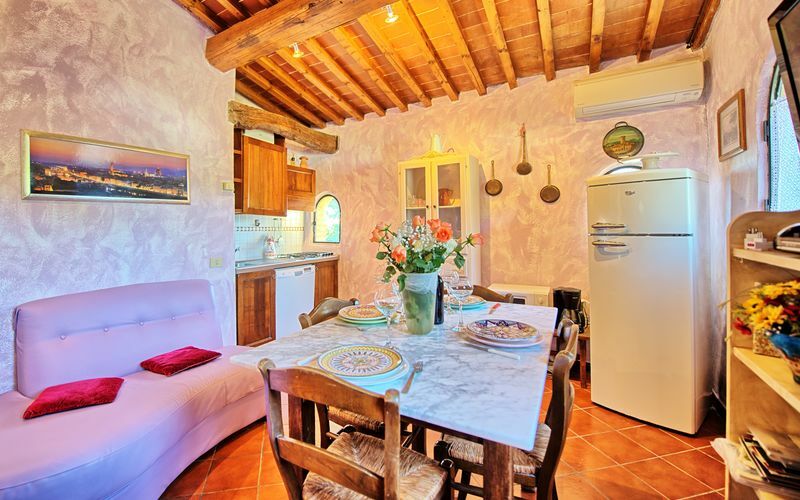 Upon request it is possible to arrange dinners to taste nice local recipes (€ 25,- / per person – drinks excluded), cooking classes (€ 30,- / per person with a minimum of 4 participants), wine tasting (€ 10,- / per person with a minimum of 4 participants). 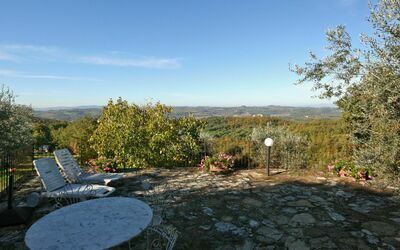 Baby sitting service upon request (€ 10,- / per hour). 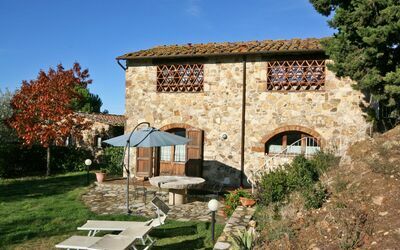 WI-FI internet connection available at € 20,- / per week. 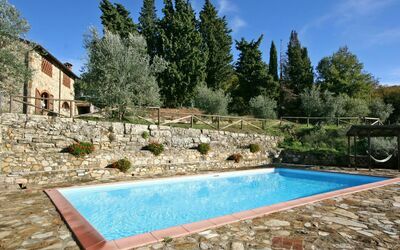 Pets are allowed by paying an extra charge of € 20,- / per week (payment on site).